Saving money with Usage Based Insurance devices...Why we think it is NOT worth the risk. - Scarsdale Premier Insurance Agency | Advocate Brokerage Corp. Saving money with Usage Based Insurance devices…Why we think it is NOT worth the risk. If you are a safe driver, you’ll save money. That is the message you hear when the major automobile insurance companies advertise their use of the Usage Based Insurance devices. If you install our telematic device and let us monitor your driving, you too can save money on your insurance. Today, over 2 million people are using a UBI device. Today we want to discuss what usage based insurance or telematics is, if it can save you money and if it is safe. Usage based insurance is a current trend in the automobile insurance industry. Carriers such as Progressive, Allstate & State Farm each have their own form of UBI, but what is it? 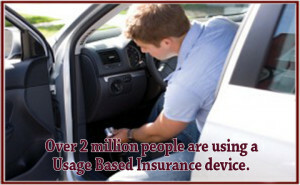 Usage based insurance is the use of tech devices to gauge your driving habits for potentially lower insurance rates. The device plugs into the car’s On-Board Diagnostic Port, collects data and transmits them to the insurance carrier. The device is utilized over a period of time and then your driving habits are evaluated and applied to your policy. What type of data does it record? Does usage based insurance really save you money? There is no bottom line answer for this question. Some drivers do save money after enrolling in a UBI program but others do not. Reports from the various carriers vary, some report that 80% of their customers do receive a discount, yet another reports only 67% save. In fact, in the future, drivers with poor habits who use telematics may be charged more for their insurance. Is the data collected able to tell if you drive safely? The issue really is that the devices can’t capture the details that paint a full picture of what type of driver you are. If you take distance as an example, the device can’t register what types of roads you are traveling, much less the conditions of the roads. If you look at how hard the driver breaks, it doesn’t take into consideration special circumstances such as an animal running into the path of the vehicle. Is usage based insurance safe? This is the million dollar question. The truth is that any threat that applies to your computer or cell phone can apply to cars that have a UBI device installed. When a security expert from the firm Digital Bond investigated the Snapshot device, he found that there are no security measures in place to prevent hacking. In fact, when he reverse engineered the device, he was able to access certain car functions including steering, braking, adaptive cruise control and self parking. That means that there is a possibility of hackers could gain control of your vehicle. Privacy is another big concern. If your driving habits are monitored and documented, how might all this data be used? Personal information can be inferred based on the pieces of data that have been collected (such as time of day the car was used and rate of speed). In fact several of the major insurers have stated on record that if it is requested, they will turn over their policyholders’ data to legal authorities. As your insurance Advocate, we want to help you save money on your automotive insurance, however at this time there are just too many variables when it comes to utilizing telematics. Until it is proven to not be another window inside our client’s personal lives and evidence is shown that they are secure, we cannot promote the use of these devices.